It’s no surprise to those close to me that I consider pizza a food group. I could eat it everyday! 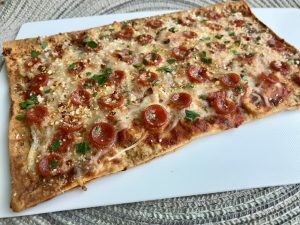 We often have homemade pizza nights around here so it was about time we Keto included this dinner. Since creating this recipe my husband has requested it at least 5 times in the last week. I think we may have a new Keto favorite! Preheat your oven to 350 degrees. 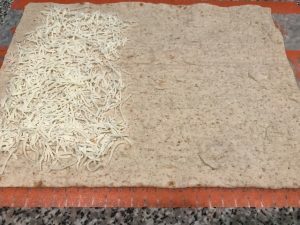 Lay your wrap down and sprinkle mozzarella cheese on one half, 1/4 cup should do, then fold your wrap over. 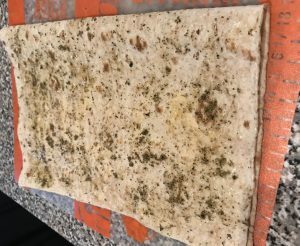 This will make you a nice thick stuffed crust to build off of. Drizzle the top with 1 tablespoon of olive oil and sprinkle on garlic and oregano. 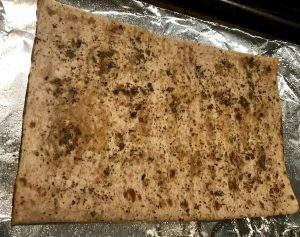 Work that into the top of the wrap to really get a nice pizza crust flavor. Bake on a foil lined baking sheet sprayed with non stick cooking spray for 8 minutes. Your crust should be a nice light brown. Next it’s toppings time. Spread on your sauce, I usually start with an 1/8 of a cup. You don’t want too much sauce, or you’ll loose all that crunch you just worked for pre baking your crust. Not to mention tomato sauce usually has a good bit of carbs. Next pile on the remaining mozzarella and mini pepperoni, if desired. Place back into the oven for 7-10 minutes. Once done top with parmesan, crushed red pepper and fresh parsley. 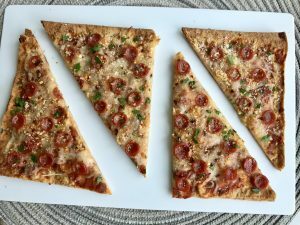 Eat whole or cut into 4 triangle wedges. This is going to be very much like a thin crust pizza. The longer you cook it the crunchier it’ll get. These come together quick and if I’m making another pizza for the kids and me it’s not a lot more work. My tip for this one, play around with your cheese and toppings combos, just keep it light to start off. No heavy meatballs. Want to keep it Keto and vegetarian? Try alfredo and spinach. Keto inclusion is so important when you’re feeding a family, especially a family with small children. If your kids are anything like mine, or me, pizza is a must. 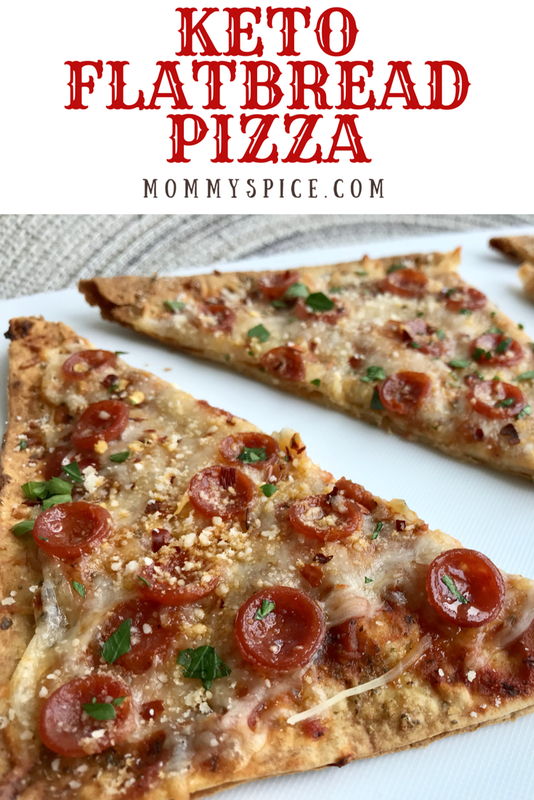 Now the loved one in your family trying to cut carbs doesn’t have to be cut from pizza night!